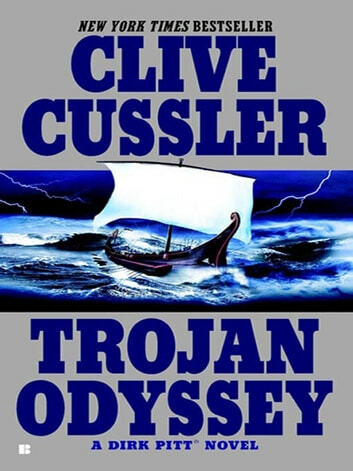 In his first adventure since the revelation that he’s a parent, Dirk Pitt must uncover the truth behind the myth of another long-lost father-figure, Homer’s Odysseus, if he’s going to stop a dangerous cult from reshaping the earth in their own image. Fraternal twins, Summer Pitt and Dirk Pitt, Jr., are working to determine the origin of a strange brown tide infesting the ocean off the shore of Nicaragua when two startling things happen: Summer discovers an artifact, something strange and beautiful and ancient. And the worst storm in years boils up out of the sky, heading straight for them and a nearby floating luxury resort hotel called Ocean Wanderer. The peril for everybody concerned is incalculable. And now that Dirk Pitt has learned he’s a father, he will stop at nothing to protect his two children. He rushes into the chaos, only to find that what’s left in the storm’s wake makes the furies of nature pale in comparison. For there is an all-too-human evil at work in that part of the world, and Summer’s relic may be the only clue to the man calling the shots. Whoever he is, he’s connected to a cult that believes the Celts, also known as the Achaeans, reached the New World millennia before the accepted history suggests. If he’s right, his ancestors laid the foundation for the work he will soon complete—and our world will be a very different place. Clive Cussler Books in Order: Dirk Pitt series, NUMA Files series, Fargo Adventures, Isaac Bell series, Oregon Files, Sea Hunter, Children's books, short stories, standalone novels and nonfiction. A bit hokey but overall entertaining. l like that Pitt is married off. I do prefer the Pitt in Sahara though. Really enjoyed the story but had major problems with the editing. In particular, the hurricane that traveled in a straight line but went both east and west at the same time. Also, there seemed to be a boat and a plane that couldn't decide whether to be traveling east or west to reach the eye of the storm. 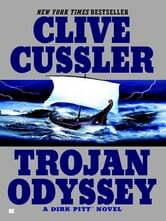 Anyone expecting anything like literature out of a Cussler forgot to read the back of the book. But for mindless vacation reading, he still gets my vote. Evil Druidic cults tied to Homeric roots and planning world shaking catastrophes - Dirk Pitt to the rescue! Not the best of them and not the worst, a book well satisfied to be what it is.